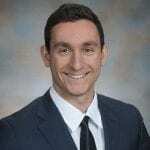 Solo musicians or bands who are hoping to create vocal harmonies within their live performances can use vocal harmonizers to achieve this goal. A vocal harmonizer can change the way a song is perceived. They can add flavor, depth and unique vocal effects to songs. Musicians and bands use vocal harmonizers for live and recorded performances. They are especially popular for musicians who use electric and acoustic guitars, due to the way a vocal harmonizer can change the perception of a song. But there are so many vocal harmonizers on the market. Not all of them are useful, even if the product description indicates many great features. It is why musicians often struggle to find the ideal vocal harmonizer. We created a guide to help with the process. By testing all the prominent vocal harmonizers on the market, we were able to narrow down the list to the top five available today. 7.1 What Does a Vocal Harmonizer Do? 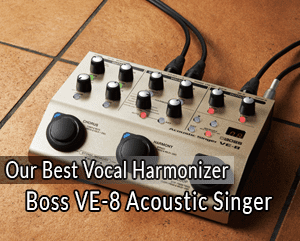 The Boss VE-8 is one of the best vocal harmonizers available today. It is a tremendous unit, especially for individual singers and songwriters. If you are hoping to add harmonizer effects for your vocals and an acoustic guitar, this unit will serve you very well. The vocal effects offered on the unit include EQ, reverb, loop, harmony, octaver, doubling, tuning, distortion and more. There are so many options, which means you will have to familiarize yourself with how your music sounds with various effects. Practice sessions will help a lot, as you will need to decide what effect is best suited for your songs. There is also an auto pitch correction feature. The vocal harmonizer is able to follow along as you are singing, which can get your voice in tune with the correct pitch. It is very useful for singers and songwriters who may be new to performing live. A handy looping feature is also present, where you can record up to 80 seconds of a vocal and guitar performance and loop it independently. Offers five vocal effects and five guitar effects. Provides up to 80 seconds of looping. Has 50 memory settings that you can customize. 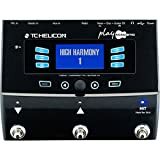 The TC Helicon Play is a very good option for musicians who often have an acoustic guitar while they are performing. It is an all-in-one effects machine that will be able to seamlessly integrate your vocals and acoustic guitar performances. There are many guitar FX styles available, which include Fame Reverb, Flashback Delay and Corona Chorus. You have the option of splitting the output for your vocals and guitar, but you can also create a stereo combination of both if desired. Even if you do not want to fiddle with the settings, you get automatic de-esser, compressor and adaptive tone added to your vocals. Musicians who are still working on their live singing voice will be very happy with the way they sound with this machine. Looping is also possible, with the harmonizer offering 15, 30 and 60 second interval options. And the entire package is put into a very sturdy case, which is ideal for musicians who are often on the road. Ideal for acoustic guitar players. Features looping for up to 60 second intervals. Includes many popular vocal effects. The VoiceTone Harmony-G XT is one of the best vocal harmonizers for singers who need some additional help when recording their songs. Solo musicians and bands who want to add an extra layer to their recordings will be very happy with the range of options available with this machine. The Harmony-G XT includes vocal doubling, reverb, pitch correction and vocal tone control options. It is a heavier machine that is intended for use in a single location, compared to some other machines that are meant to take on the go. Singers and bands will love the real-time pitch correction on this device. When you want to ensure that your recordings have flawless pitch, even while trying to hit high notes, the Harmony-G XT will deliver the desired result. With easy-to-use dials on the machine, musicians should have a straightforward experience as they look to adjust the various effects offered by the harmonizer. Settings can be tweaked or turned off to see how the sound is impacted. Offers a full slate of voice tuning options. Includes effects such as harmony, doubling, pitch correction and voice tone. Ideal for musicians and bands that are recording music. Sensitive to external noise, which makes it better for recording music than playing live. 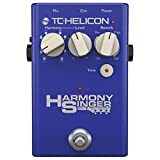 Music enthusiasts who are seeking a lightweight and easy-to-use vocal harmonizer will be very pleased with the TC-Helicon Harmony Singer. It is able to offer one or two vocal harmonies that perfectly accompany the sound coming from your guitar. There are reverb effects available, which include three styles to improve the way your vocals sound. And the adaptive tone will deliver the ideal EQ, compression and gating for your sound. 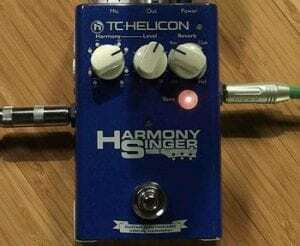 When you are performing live, having the TC-Helicon Harmony Singer will certainly make you sound better! The controls are very easy to adjust, with beginners able to start benefiting from the effects within minutes. You also get access to momentary and latched harmony modes. Unlike the other models, the Harmony Singer is a battery-operated device. It is helpful for musicians who may play at different types of locations. Say you are performing at a friend’s party or a big gathering. You would not need to worry about plugging in your device! Offers very good vocal processing with its EQ, compressor and gating features. Adds up to two vocal harmonies that match up with the music playing on the guitar. Battery operated and lightweight device that is very portable. Requires a guitar to follow chords. The Boss VE-2 may not have some of the advanced features of its more expensive counterparts, but it is still an excellent option as a budget vocal harmonizer. It will deliver the harmonies that you desire when you perform live. The auto harmony function makes this model ideal for beginners and enthusiasts. It will automatically detect the chords that are played on a guitar and create matching harmonies. Even if there is a mid-song key change, the processor will keep up! If you are singing solo, you can still create a harmony by manually selecting a song key through the panel knobs. So you do not necessarily need to attach an instrument to get the effect that you desire. Another battery operated device, the VE-2 is perfect as an entry level model. Say you are starting out your music career and making the transition to live performances. The VE-2 is the ideal accompaniment. It will adjust your vocals and create a very good effect for all your songs. Auto harmony feature creates the perfect harmonies and can adjust to key changes. Does not require a guitar to create a harmony effect. Missing a lot of advanced features of models such as the VE-8. Even the best singers can use some backup during specific performances. While some songs benefit from a single voice, other tunes require backup singers to add depth and a different flavor to the sound. Solo musicians and bands that are not able to use backup singers can benefit from a vocal harmonizer. Perhaps there is only one great singer in your band. Instead of forcing weaker singers to fill in as backups, a vocal harmonizer can create a superior sound. 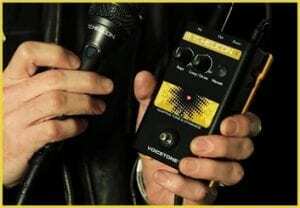 What Does a Vocal Harmonizer Do? Think of a vocal harmonizer as an audio processor. Musicians will feed the guitar and microphone into the vocal harmonizer, which creates harmonizes that match the tone of your sound. A vocal harmonizer adds a chorus-like effect to the song. When a musician has a vocal harmonizer, they can feel confident going onto stage with their guitar, microphone and amplifier. Their sound will feel a lot fuller and richer, as the vocal harmonizer adds perfect accompanying layers to the sound. And a musician or band does not need to use a vocal harmonizer throughout a song. It is as easy as pushing a button to turn it on or off. The chorus of the song may require greater depth, which is when the harmonizer can be turned on. And it can be shut off for the rest of the song, allowing a single voice to shine. Fifteen or twenty years ago, only the best vocal harmonizers were able to achieve a good effect on the music of a singer or band. But technology has evolved a lot in the past decade or two. Modern vocal harmonizers offer incredible performance for the price, which is why mainstream harmonizers are good enough for musicians to use. Modern vocal harmonizers are much better at tracking the tonality of the music that is being fed into it. The result is an effect that perfectly matches what you are hoping to achieve. Some harmonizers are even capable of equalizing and tuning vocals as a musician is performing. Finding the best vocal harmonizer requires an understanding of what you are trying to achieve. Some harmonizers may work best for different types of music. For instance, a harmonizer that is suitable for acoustic guitar tracks may not be as effective with electric guitar performances. And the top tier vocal harmonizers also have some extra features, which sets them apart from mid-tier and budget offerings. The types of harmonies offered within the harmonizer, tuning abilities and extra features can have a big impact on how music sounds. Musicians and bands who are searching for a simple harmonizer so they can have fun with their hobby will be happy with a budget model. But those who take music seriously and want to make it their career will want to shell out for the best model available today. A vocal harmonizer is not capable of performing miracles. There will be limitations to each model. For instance, the harmonizer will eventually run out of range. There will be no more available pitch for the harmonizer, depending on how you are performing. The better harmonizers offer a hybrid operation mode. With this mode, the harmonizer will follow your pitch until its limit. When it hits that limit, it will go back to a default value that you selected beforehand. And some harmonizers may have processors that are not capable of keeping up with the speed of the music. It is an important consideration for musicians or bands that play up tempo music. You will need to find a harmonizer that can handle the speed of your music, otherwise its tracking ability will not be fast enough to keep delivering the effect you desire. A vocal harmonizer can completely transform the way your music is perceived. A solo musician can add some depth to their music. Bands are able to use vocal harmonizers to add harmonies during recordings and live performances. Many solo musicians and bands do not have backup singers. Some bands only have one member with a truly great voice. And a solo musician may not be able to find suitable backup singers to record a new track or perform at a live event. Vocal harmonizers can be a life saver, enhancing the song in a way that was not possible before. But only when buying the best vocal harmonizer. The Boss VE-8 Acoustic Singer is an excellent option for singers or bands who want the best harmonizer available, regardless of price. Those who want a lightweight, budget option will be very happy with what the Boss VE-2 can do for their sound. We hope that our guide has made the process of buying a vocal harmonizer a little easier. And if any of our readers have experience with these vocal harmonizers, please leave a comment below!